Moses Austin and later his son Stephen F. Austin became impresarios commissioned to begin settlements in what later became Texas. The settlements began in the 1820s. Stephen F. Austin’s plan called for 300 families; several of the settling families located along the Brazos River in what later became Brazos County; these families included Elliot McNeil Millican, Richard Carter, James H. Evertts, Malvan Lanham, Lee C. Smith, and Mordecai Boon. Many of the three hundred families owned slaves; from a population of 1,790, there were 443 slaves (roughly 25%). 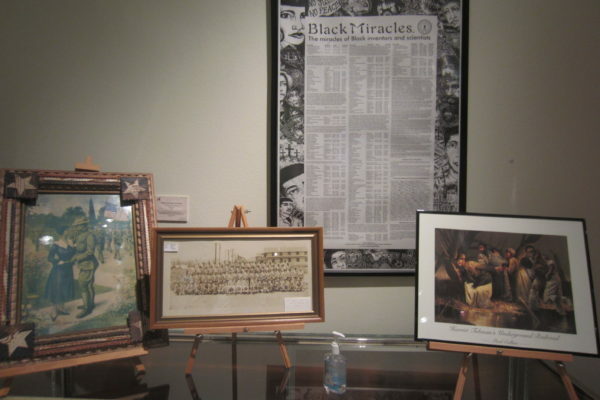 So from the very beginning blacks along with whites had a significant role in the creation of Texas. Also here from the beginning were Mexicans, members of both Comanche, Cherokee tribes. Visit the museum for more about this exhibit.